At first glance PrimeCasino is promoting £300 for free. Because everybody likes free stuff we are going to check out how free you can receive this bonus. These three deposit bonuses add up to a total of £300. The money will be deposited in to your account 30-60 minutes after making the deposit. There are however a few conditions to take into account before you can clear this bonus or withdraw your winnings. The bonus is valid for new players only for 7 days after registering a Real Money Account. In our oppinion 7 days is rather short for the first three deposits. Bonus will be released in £10 increments. To clear this bonus the bonus amounts needs a 30 times playthrough. This playthrough requirement is consistent for all three deposits that are part of this welcome bonus. However casino games contribute at different level to this playthrough requirement (wager requirements). 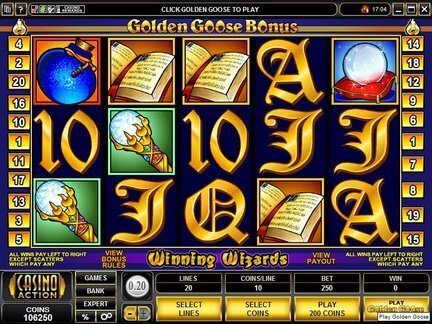 100% – Slots and Parlor Games contribute 100% to these playthrough requirements. To clear £100 bonus you will need to wager £3000 in Slots or £3000 in Parlor Games. 0% – Games that are not helping to clear your welcome bonus at all are: Classic Blackjack, all Aces VideoPoker and Power Pokers, all Baccarats, all Craps, Red Dog and Sic Bo. 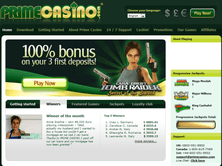 Also see our Review on PrimeCasino.